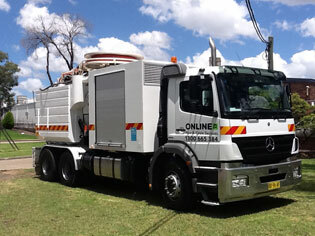 OnLine Pipe provides specialist services for professional tradesmen including non-destructive digging and pipe and cable locating. Whether you are exposing a pipe for repair or undertaking excavation on a building site you have a duty of care to avoid damage and disruption of services. New legislation in New South Wales aimed at reducing the number of ‘strikes’ (damage) occurring each year to stormwater, sewer, gas, power, Telstra and optic fibre and further enhancing the ‘Duty of Care’ to the contractor during the excavation phase of the job is now a reality. 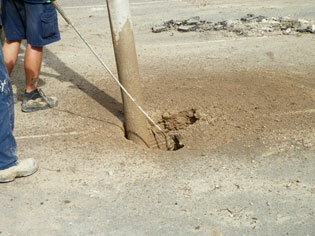 Strikes are now totally avoidable using highly efficient Non Destructive Digging (NDD) also known as pot holing. Using a high pressure water lance (20 – 30 times more powerful than your average Karcher) to break up the soil that is simultaneously removed with a powerful vacuum unit results in a clean hole with no damage to any subsurface asset. 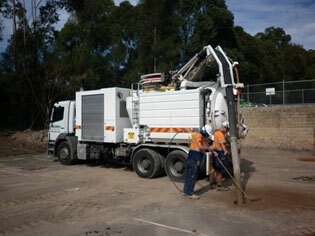 OnLine Pipe and Cable Services provides you with a safer, cleaner and more cost effective way to excavate. The days of hiring an excavator loader or backhoe, negotiating the float to and from site, half day minimum charges and spoil removal are quickly becoming obsolete. OnLine's NDD is extremely efficient because it can get to site, excavate, remove spoil and be off site in a fraction of the time of traditional methods, with virtually no negative environmental impact. Don’t risk the severe penalties associated with damaging underground assets and services even when you have already checked with relevant authorities for their location. 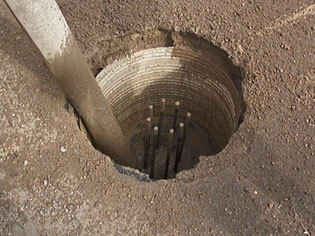 Call Online Pipe and Cable Services - your first choice for safe, efficient excavation.